Very often, the overlooked member of Coach K’s support ensemble, Nate James played from 1996 to 2001. As part of the 2001 National Championship team he was known as a defensive warrior. He brought his defensive intensity to his work outs and weight training. It would be that vigor that would bring him back to the Duke sidelines in a different role. Unfortunately, that verve would find him injured in his Sophomore season and Red Shirted. Because of this, he would eventually become the only player ever to be a member of five (5) regular-season conference season championships. He was a Co-Captain in both his Junior and Senior years, the latter being a National Championship, when he earned ACC All-Defensive honours. It is his defensive prowess that often overshadows his 1000+ career points. The eternal “role player” type of contributor, Nate’s name was passed over in the NBA Draft, so for the next eight (8) years, his Passport saw more action than he did. He toured Europe from the Netherlands to France to Hungary to Poland and Bosnia. Add to that Brazil to Japan to the Philippines and you can imagine what his Frequent Flyer account must have looked like. When Johnny Dawkins left for the Head Coaching job at Stanford in 2008, Coach K brought Nate in as a strength and conditioning coach. The next year he would be named an Assistant Coach which means he became the first person ever to be part of a team that won National Championships as a Player and a Coach at Duke. Since then, he has welcomed Jeff Capel and Jon Scheyer back to their Alma Mater. Nate has been credited with working with Brian Zoubek and Lance Thomas in their Championship season and just about any player who excelled defensively since 2008. 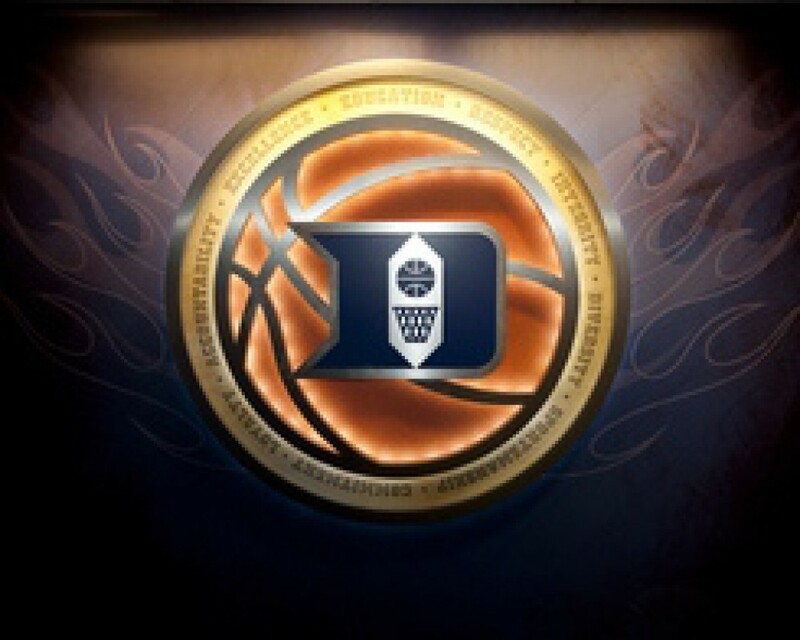 I’m sure his contributions to Duke basketball make him a valued member of “the family” and causes us all to hope he stays in Durham for quite some time !!! He earned a Bachelor’s in Sociology with a Minor in African -American studies. Welcome to our version of the 2014-15 Season Count Down to “CountDown to Craziness” which, this year, it is on Saturday, the 25th of October at 8PM. So, everyday from today, counting down to “Craziness,” we will feature a member of this year’s Duke team but we start out with a bit ofa twist. In prior years, we started with the “Walk-On” players, and we were ready to follow that same pattern when we realized that no one ever thinks about the support system Coach K has always enjoyed. So, today we start out with the Senior member of the three (3) guys behind and on the bench with Coach K. The reasoning is that they are often the forgotten part of the team – well, until some other team needs a Head Coach, then their worth is fully realized. In order to give them their proper due, we will profile Associate Head Coach Jeff Capel today, alone. Next, we will pair each of the Assistants with one of the “Walk-On” players to give you, our readers, a bit more to consume. 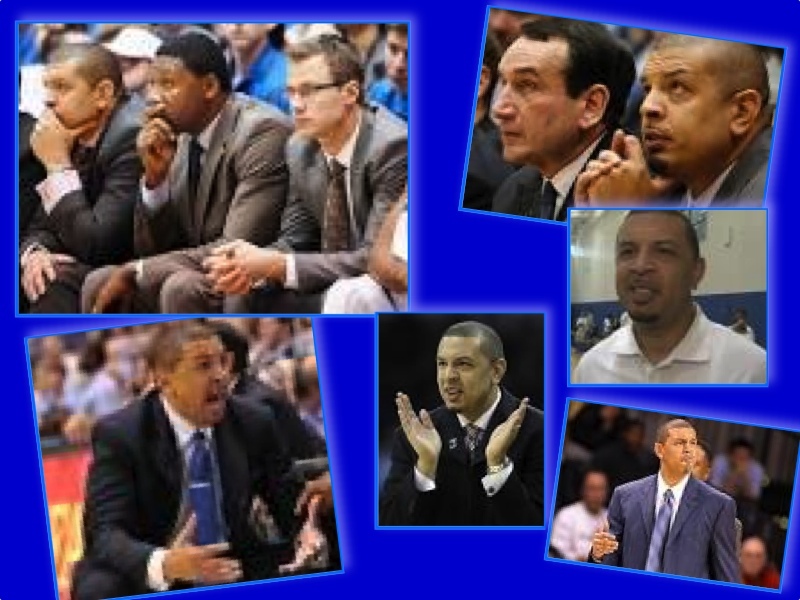 Better known as simply Associate Coach Jeff Capel, he is one of the only recruits who came to Duke and started at Point Guard for all four (4) years, graduating in thru 1997 with a Bachelor’s Degree in History. After a very short lived professional playing career in France, he traded in his jersey for a whistle as an Assistant Coach to his father at Old Dominion for two (2) years. He became an Assistant at Virginia Commonwealth and after two (2) years became the youngest Head Coach in D-1 Basketball when VCU put him at the helm. In four (4) years, he led VCU to a 79-41 Record, a trip to the Big Dance and the NIT. In 2006, he was hired away from VCU by Oklahoma to succeed Kelvin Sampson, who left to take the reigns at Indiana. Even though three (3) recruits changed their minds when Sampson left, Jeff amassed a 96-69 record, making the Big Dance twice, the second time getting to the Elite Eight. He will forever be known as the coach who guided a young Blake Griffin during his formative years. In 2010, his Assistant Coach resigned under a cloud of speculation, when a player associated with the Assistant came under scrutiny by the NCAA. Five (5) underclassmen subsequently left the programme, leaving Jeff with only second tier players. Even so, he eked out a 14-18 record, the powers-that-be at Oklahoma thought it needed a change. So in March of 2011, Jeff, who was never implicated in the scandal, was without a job and nothing on the horizon. It’s at times like this, family comes thru, only this time the family was his second family at Duke. So, after amassing a 175-110 record as a Head Coach, I, like many others thought it was simply an act of mercy on Coach K’s part. Au Contraire !!! Since coming back “home,” Jeff has given Coach K a tremendous boost in recruiting. Moving from an Assistant Coach to Associate Head Coach, he is an excellent voice with the players, mentoring many along the way. 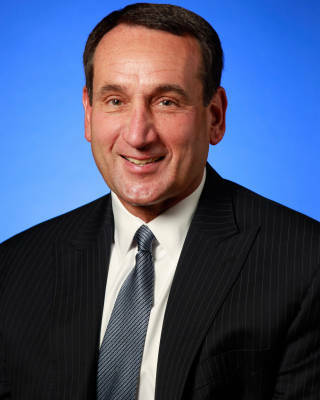 He has also been Coach K’s Assistant with Team USA. While it took a firing to bring him back to his Alma Mater, he has brought a wealth of experience and experiences back to “the family” and “the family” is all the better for it. Jeff is married to another Duke alum, Kanika Reale Blue. They have a daughter, Cameron Isabella. Now, tell me that’s not loyalty, naming your daughter after the famed arena where we first got to know him ?? ?